The invisible zip colled also concealed zip is very delicate zip specially designed so that it is the least visible after sewing in. The Zip is made from a special mesh tape is soft on top of a flat, easy to bend, but the slider is more visible. For attaching invisible zip we need a special footer . 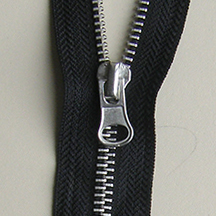 By its nature, this type of zip is often used where the zip should not be visible at all . 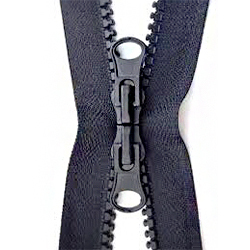 Invisible zips are using to dresses, blouses, tops, trousers, skirts, but also in its distribution version used for corsets and even jackets. Concealed zip is manufactured in only one size. Waterproof zip has been developed recently, it is a very modern, futuristic typeof zip. It is made of special material, slightly rubberized, high-sheen .The topsurface of zip is smooth, we can say that it is a concealed zip , because it has the same construction of tape. This makes it is resistant to ingress of water into the inside. This feature used by producers of sportswear and expertise. It is used for jackets, sports jerseys, which are used in extreme conditions. In addition, these zips are used in wetsuits. Waterproof zips are generally produced in a size of 5. Metal zip is a strong and highly aesthetic zip. It is made of tape of material (often cotton) and metal teeth .They are made of metal zips of different colors . They are available in nickel, antiqe brass, brass, gold, aluminum. These zips are manufactured in different thicknesses of teeth are in the size 3, 4, 5, 8 and 10. Metal zips are produced in the version open and non separeting end . 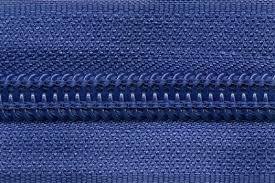 Metal zips are used in various kinds of garments. Closed end metal zips are used for jeans. 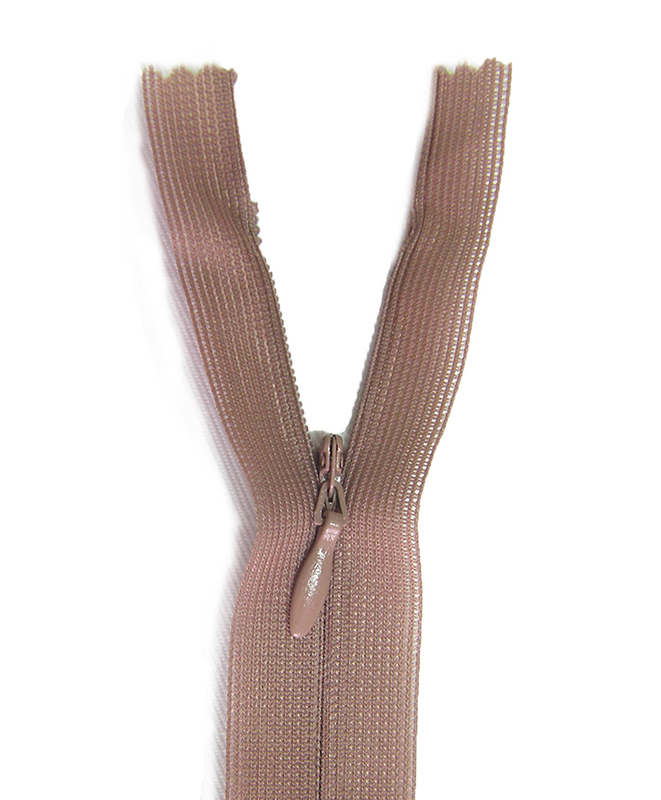 Open end metal zippers are used in jackets, jackets, blouses, skirts, bags, dresses, leather clothing. Two way zip is a very comfortable, modern type of zip . It can be opened from above and from below. It is produced in zipper coil version, chunky and metal. 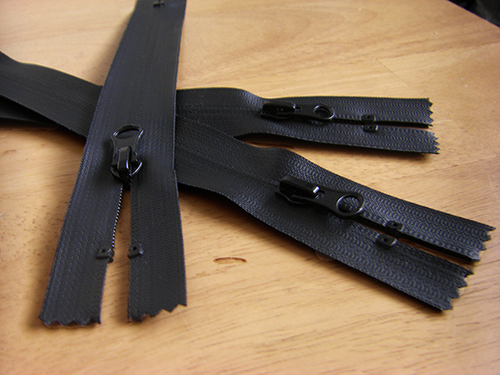 On the tape of the zip there are two sliders, we can accurately adjust to open the zip from both sides. Also with zipper tape you can put on two sliders , but it is only suitable for bags, suitcases, tents and special applications. Two way zip is also available in a variety of thicknesses : size 3 - used for sheets, pillowcases and bags, to the extent of 5 to various kinds of garments, bags, upholstery. Larger sizes 8 and 10 are used for the production of tents, suitcases and specialized tasks . Zips by the metre are very often used instead of ready-made zips , is cheaper, you can precisely adjust its size. 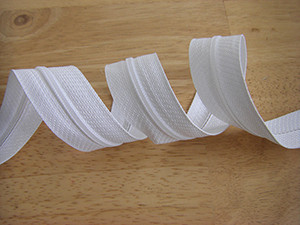 Comes as a long length , as zip on a roll , which can be cut to required size. It is designed to be non-openable one or both ends by fitting . Continuous zips are available virtually from every type of zip : metal, plastic, chunky, they are also available in different sizes depending on what kind of zip we need . For the bedding, to the tent, bag, suitcase or upholstery. We set the required length, adjust the sliders and we have finished the zip. We can make one slider zip , or double ended zip . Zips by the metre are very comfortable with the big production .